I am kirubaakar, working as a software engineer. Recently I settled in Chennai with my family. Everyone have their dream to buy an own house. I am one of them. I start searching ongoing and complete flat / villas from past Decemeber 2012. I get lot of quotation and went site visit to lot of builder. But I finalize my property with amar prakesh developer. The reason is cost is reasonable but facilities are more. you know one thing i start enquiry with amar prakesh developer and then only I enquired lot of other developers and promoters. But at last i again came back to amar prakesh since comparatively the price is low here. There project are located in the prime location of the city, which will be grateful for transportation. All their project have all facilities inside the compound itself, which will give us a royal life style. One of the main reason i selected amar prakesh is their services and response with the customers. 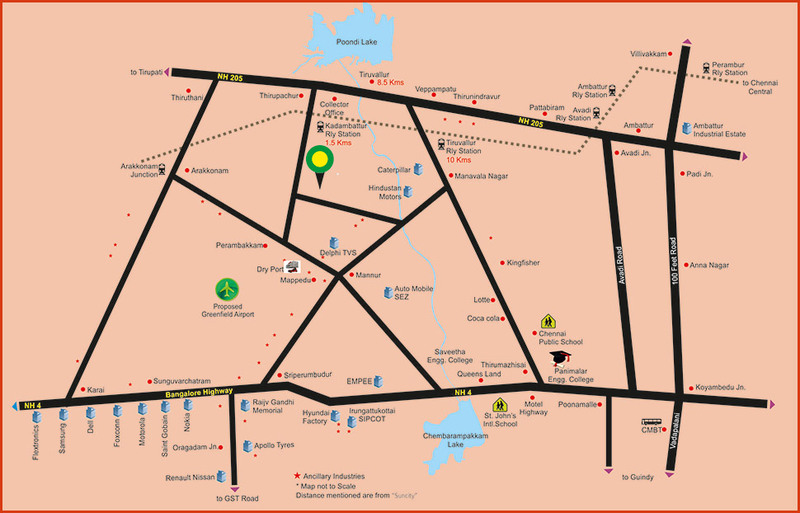 I prefer amar prakesh developer to buy your dream home / villa. I would like to indicate the following as our remarks about the villa 328 at Sun City, Kadambathur, Thiruvallur Dist. We are very much thankful and grateful to the Amarprakash Team for bringing our dream into reality at every stage of the process in achieving our long term goal during the last four months. We are very much happy and interested to share our memorable moments at every stage of our life as part of “SUN CITY FAMILY” with Amarprakash Team, who had guided us till now. I may take this opportunity to express my deep satisfaction and appreciation for the manner in which Karthikeyan and his team handled my search and queries in short time I spent with them. Through his casual and friendly approach combined with clear frankness, sincerity and honesty that do not undermine a shrewd approach, he showed additional proofs of the qualities that differentiate “Amarprakash” from competitors. It is the integrity and experience of your establishment that avails to ensure a better service for many of us a prominent choice. Glad and proud to be one among Suncity, we got our plot registered as per our request on 13th of this month. Thanks. Shri.Gopalan - Manager, Receptionist and all the staff members of Amarprakash for all their great support and valuable suggestions right from choosing the Plot, Documentation and especially the floor plan in which you provided us separate Pooja room as per our request... Many thanks. Once we stepped in we experienced positive vibrations. Rich soil, tasty sweet water, enjoyed the green fields around, cows were on their way back to home, we were so refreshed that evening... We had peace of mind. I recommend Suncity for the one who is in search of peaceful life. Before the construction work starts we would like to perform bhoomi pooja on 1st August as our birth stars are favorable on that day. For this we need your approval and cooperation. I am very happy to be part of Sun City Family. The transaction in buying the Villa in Suncity Project through Amarprakash was so transparent. They have given me excellent service with honesty and integrity during the pre-launch (phase 2) and also during the registration process. I am especially pleased with the support and the information provided by Amarprakash CRM team members that helped me to do the registration on time without any delay. We hope to get the same support in all future correspondence also. My special Thanks to Karthik(CRM), Arul, Nirmala and Aparna for making my registration on time. I have bought a villa No.334 in SUNCITY project Phase II. I would say “Right Investment in a right place”. I am writing this letter to express my utmost thanks and appreciation to AMARPRAKASH.I want to express my thanks to everyone at AMARPRAKASH for their fair and efficient methods of doing business. Lastly, I would like to say that I would highly recommend AMARPRAKASH to any >and all who would require an apartment/villa of quality in Chennai.